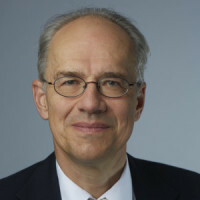 Helmut Wagner is the Owner of H. Wagner + Partners GmbH (LLC). After 36 years of experience working for international companies, Helmut has decided to start his own company. He is using a network of friends and colleagues. Based on his broad experience in international business and trade, especially with China and India, he decided to support selected companies from China and India – he did business with over 20 years – to enter the Western Markets. Long term proven confidence is the base to create successful business. In his average day he’s handling emailed correspondence, conducting research, attending client meetings, meet with investors and has regular contact with his Indian and Chinese partners. As mentioned Helmut spent his 36 years of his career working as a General Manager, where he gained a lot of cultural and international experience. He decided to leverage his broad knowledge as generalist. It is goal and vision to become an intermediary between cultures. Helmut is especially skilled in the Sourcing of Chemicals, Procurement, Logistics, Paper and Textile Industries and cultural perspectives. He studied General Management from the University St. Gallen (HSG), where he graduated with a master’s degree. In 2017 Helmut finished advanced studies for board effectiveness and compliance also at the University St. Gallen (HSG). Helmut is a member of a Committee to audit the finances of his local town. As retired Lieutenant Colonel he is member of a foundation council for Soldiers with Financial Difficulties and a member of the Alumni of the University of St. Gallen (HSG). Within the next years he’s looking to continue to develop and grow his company. He credits his success to having persistence, giving attention to important details without losing the big picture, having knowledge of various cultures and speaking fluent English, French, German and also the Swiss dialect.